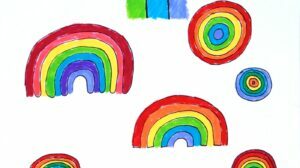 I recently saw an article about 3 primary school children in Scotland whose artwork was replicated onto bronze plaques. It was then mounted outside along a public promenade so visitors can make pencil or crayon rubbings from the plaques and learn a little about the area’s history. I was always fond of crayon rubbings, and my sister and I even made an impression of Mother Goose’s gravestone in Boston when we were there about 20 years ago. We broke out the big old fat crayons the other night and went on a crayon-rubbing expedition around the house. We rubbed: The refrigerator, a floor mat, linoleum floor tiles (ew), ceramic floor tiles, the textured seat of a stool, a textured door. It felt very scientific, as we explored and studied our surroundings. 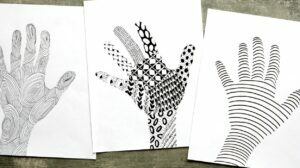 Of course, I can never just let things go there- why not make an art project out of the rubbings! 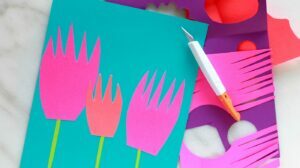 This project would be perfect for kids comfortable with using scissors. After you collect a bunch of rubbings in different colors and textures, cut out the elements for a lovely scene. We chose to make an animal of indeterminable origin, in a lovely grassy field. 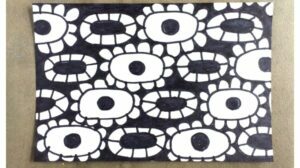 This project would also work if you cut out the elements for a face, or even just kept the crayon rubbing pages as is and painted with watercolor over them for a wax resist painting project. 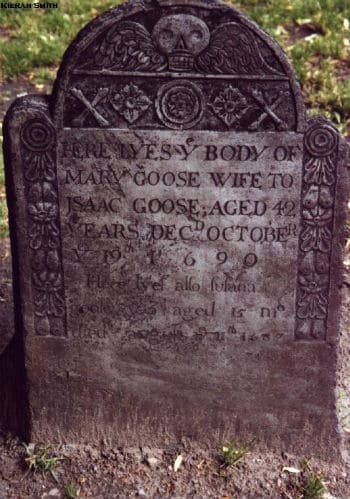 I would like to visit Mother Gooses’s grave! 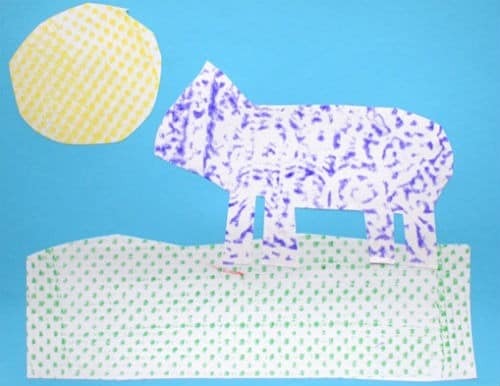 What a great idea to explore your house for textures to make rubbings with! Last year we made crayons from old broken ones in a mini cupcake pan. 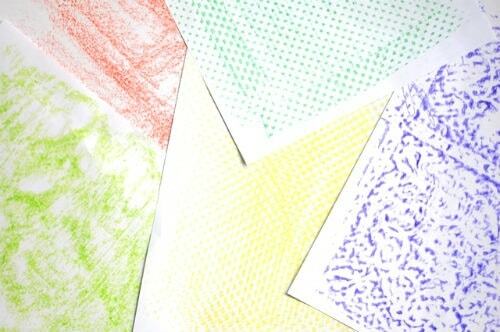 Those flat disc crayons are great for rubbings. 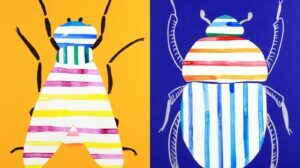 What a great idea to turn crayon rubbings into a collage!! !